This past week I was making my usual ‘it’s about to storm so I must stock up on bread, milk and eggs’ run…oh yes, and chocolate. (Don’t judge me.) As I perused through the shoe aisle (did I mention shoes? ), I suddenly became aware of a burst of Christmas cheer coming from the aisle next to mine. A group of female voices were singing “Deck the Halls” with giggling abandon. They weren’t quiet about it. Oh no. They were downright jubilant! They finished their concert and then burst into song again when “Rocking Around the Christmas Tree” came over the loudspeaker. Their joy was infectious! 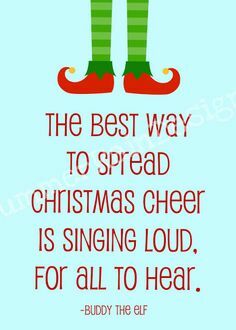 I thought of Buddy the Elf’s favorite phrase, “The best way to spread Christmas cheer is singing loud for all to hear“. I smiled to myself and just stood quietly in place, soaking in the rare treat. I tried to go on my merry way but just couldn’t help myself. Their breathless laughter tugged my curiosity. I wheeled my cart around and peeked around the corner. Six lovely young teenage girls were dancing, laughing and singing as Brenda Lee belted out the classic tune. Not that anyone could hear old Brenda. These girls weren’t just singing…they were sangin‘! 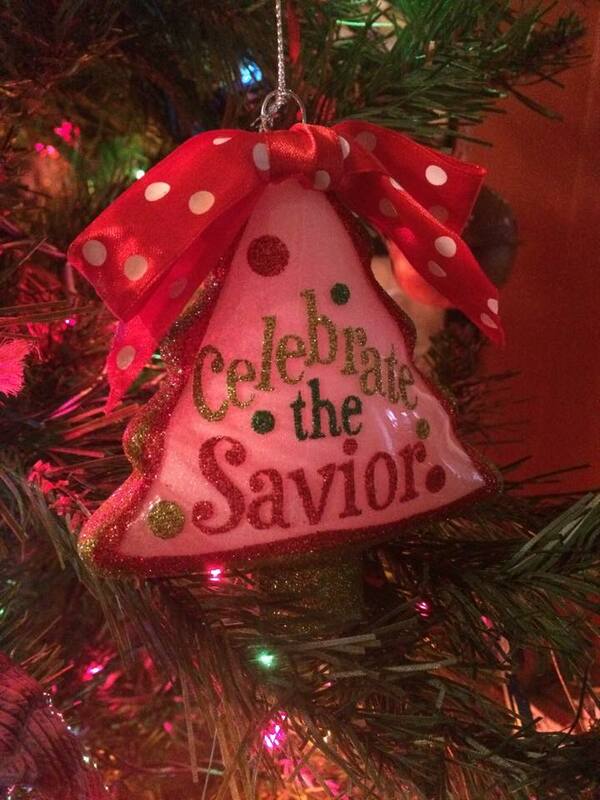 A pretty brunette never broke her stride as she replied, “Of course…it’s Christmas! Time to celebrate!” Before I knew it, I was dancing and singing right along with them. And although I felt a bit conspicuous at first, my reserve melted away in the presence of such pure, childlike joy. 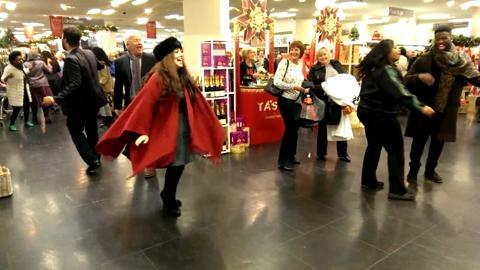 Shoppers passed us smiling at the slightly insane performers making their debut. We parted minutes later, waving goodbye to each and smiling like children in a candy store. Most of us have seen the ‘flash mob’ videos on Youtube. One or two people start singing and before long the entire mall is rattling the windows as they lift up their voices. As I stood motionless in front of the rows of shoes that day in Walmart, I realized that I hadn’t felt as free as they sounded in a long time. Those sweet girls reminded me of the gift I have in Christ, a gift that I often allow to become dusty and dry, locking it into a people-approved box and shoving on a shelf. I am really and truly free! Squelching that joy is like a bird who refuses to fly out of the open cage door. And those girls also reminded me that joy, pure and uninhibited joy, is one of the most attractive blessings God has given. I couldn’t help but respond to their enthusiasm. And they happily pulled me right into their party. If you wanted to celebrate, you were welcome. Your social station, age, appearance or abilities didn’t matter. Freedom found in Christ is like that. Irresistible. It calls. It draws. It moves. It changes and transforms. So during this Christmas season, in your scurrying to check off your to-do lists, preparing food, buying gifts, braving insane malls don’t forget to enjoy your gifts of freedom and joy. After all, Jesus was born (and died) to give us both. 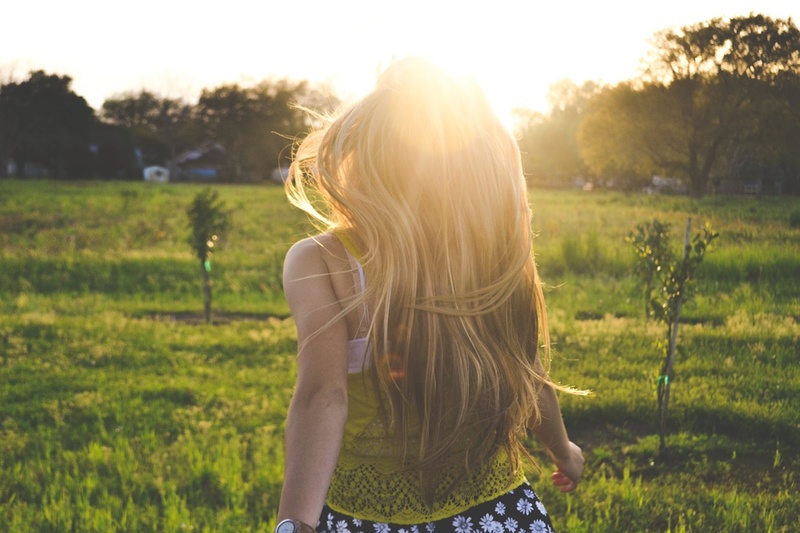 Tell me…have you been unintentionally squelching your freedom in Christ? How do you ‘let loose’ to breathe in joy? I felt this way just this past Sunday, when a sweet young lady came forward to be baptized. I love how our congregation applauds, and then breaks into song after a such a wonderful event. Shout hallelujah! Awww, thank you, Jeanne. Those girls were such a gift!